If you are a first-time homeowner or a home improvement veteran, it’s essential to have tools at your side that help you get house jobs done right. Plus, whether you’re completing a toolset or just looking to upgrade, it’s always smart to invest in high-quality products that stand the test of time. With the Porter-Cable 20V MAX Drill and Impact Driver Combo Kit, you can tackle all your household tasks for years to come and be proud of your hard work for a lifetime. This kit helps you begin and finish plenty of at-home projects. Been thinking of adding a new bookshelf to your bedroom? How about installing a bigger television in the living room for the entire family to enjoy? Well, both will be quick and simple projects with these tools! Each uses brushless motors to provide extended runtime and optimum power for fast applications. Even better, the drill’s high-performance two-speed transmission delivers RPMs of 0-430 and 0-1700, while the impact driver produces 1400 pounds of torque. Meaning, both are powerful tools that make even the toughest household jobs — like driving large fasteners — a breeze. Better yet, the set is also compact, allowing you to work in tight spaces. It even comes with a 16′ tape measure and a 25′ tape measure as well as a 201-piece complete project set, so you have all the drill bits and screwdriver bits you will ever need for specific jobs. 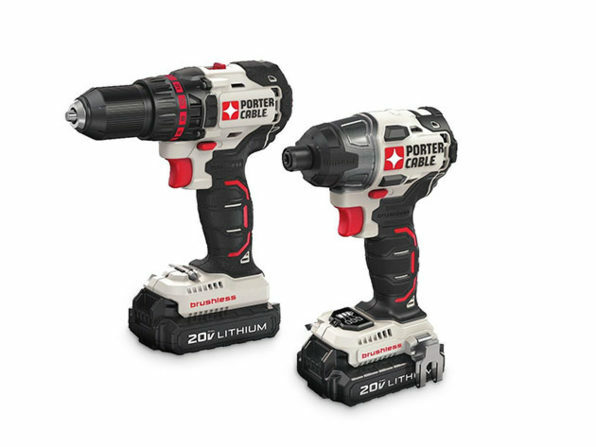 The Porter-Cable 20V MAX Drill and Impact Driver Combo Kit is $199.99, 27 percent off its original price, in The Daily Caller Shop.